Chase Tower, also known as Cotter Ranch Tower, is a signature skyscraper in Oklahoma City's central business district. 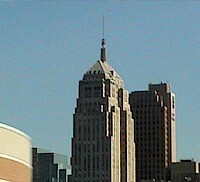 At 152.4 meters (500 feet), it is the tallest building in the city and the fifth tallest in the state of Oklahoma. Most residents know the tower as Chase Tower but the tower's real name is Cotter Tower, named after its owner, real estate holdings owner James F. Cotter of San Antonio, Texas. Former names of the skyscraper include Liberty Tower and Bank One Tower. 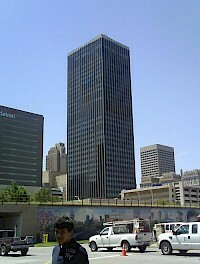 Devon World Headquarters Tower is a 50-story corporate skyscraper under construction in downtown Oklahoma City, Oklahoma. Construction began October 6, 2009, and is expected to be completed in 2012. The tower is located next to the historic Colcord Hotel, which Devon currently owns, on Sheridan Avenue between Hudson and Robinson Avenues.